Pure Encapsulations® bromelain DR contains 2,400 active enzyme units per gram and has an acid-stable capsule shell (DRcaps®). Bromelain is naturally obtained from the stem of the pineapple plant and is active in the stomach and small intestine. 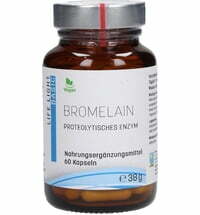 Bromelain is a herbal enzyme combination and not an isolated substance. So Bromelain is comprised of a group of different enzymes (enzymes are biocatalysts). 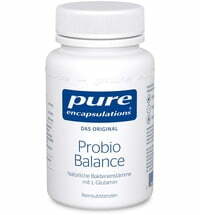 Take 3 x 1 capsule daily with or without food.